We’re an active Buildings Preservation Trust (BPT) and we work hard to preserve and protect Lincolnshire’s stock of historic buildings. We strongly believe that the conservation and regeneration of the historic environment brings positive economic and social benefits for present and future generations. Our BPT work includes raising grant funds to rescue and repair derelict historic buildings, especially where a commercial project is not financially viable as the cost of repairs far outweighs the resulting value of the building. We find new uses for the buildings, which helps to ensure that they are properly cared for into the future. We are a member organisation of the Association of Preservation Trusts (APT), which provides an invaluable network offering support and advice. Our most recent project was at 116, High Street, Boston and involved the repair and conservation of an important grade 2* listed Georgian town house, which once housed Lincolnshire’s first private bank. Previous attempts to develop a restoration project had failed, and by the time Heritage Lincolnshire took on the project in 2008 the structure was in a perilous condition and supported by extensive internal scaffolding. We worked with a number of partners and in consultation with the local community to develop the project and raise the necessary funding to repair and regenerate the building. The property was repaired and conserved and brought back into use as a sustainable community asset, with ‘incubator’ units to accommodate start-up businesses being built in the grounds. We’ve successfully undertaken six projects to date, with the support of key organisations such as the Association of Preservation Trusts, the Architectural Heritage Fund, Heritage Lottery Fund, English Heritage, the local authorities within Lincolnshire and other funding bodies. 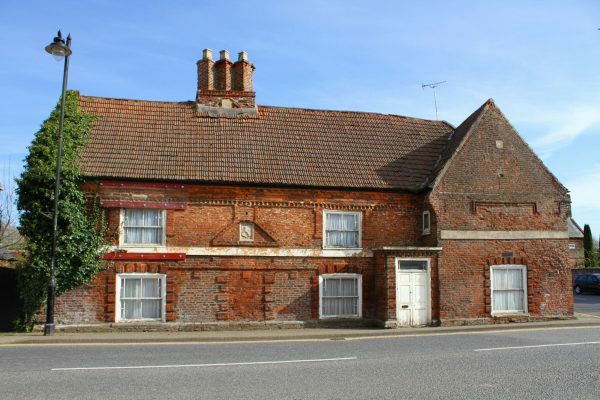 We’re currently working to develop a new project that will rescue The Old King’s Head, an important 16th century building at Kirton near Boston. In addition to carrying out our own projects we also regularly help and support local groups and organisations who are working to save a derelict building in their area.